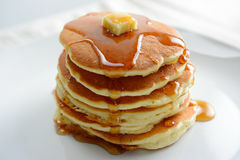 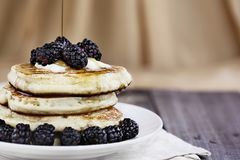 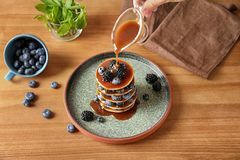 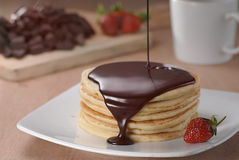 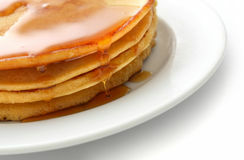 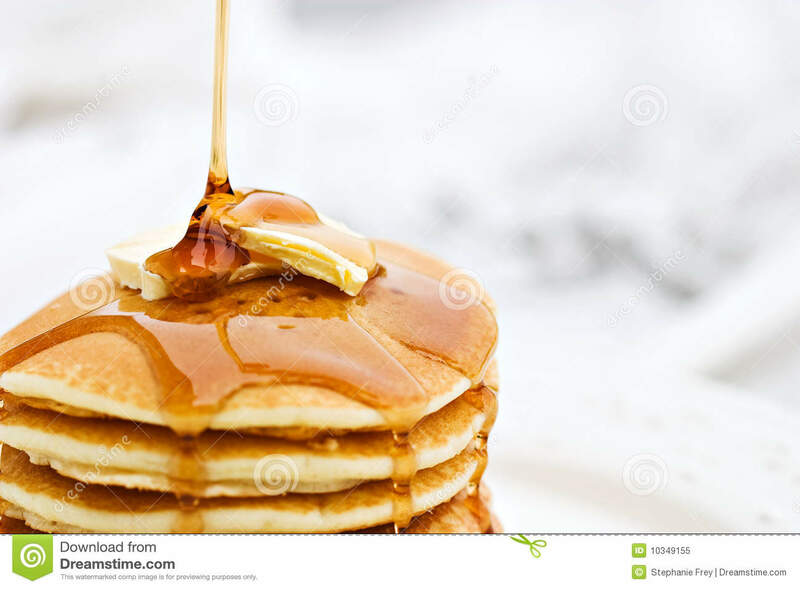 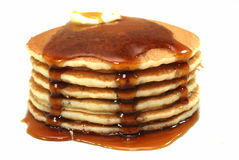 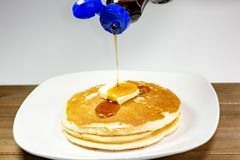 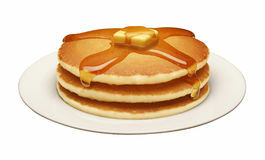 Syrup Pouring onto a Stack of Pancakes. 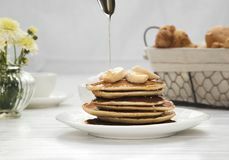 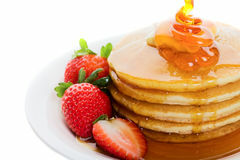 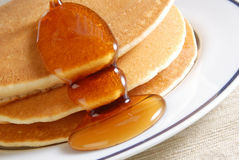 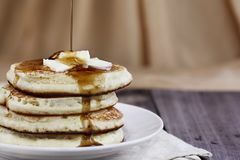 Maple syrup pouring onto pancakes. 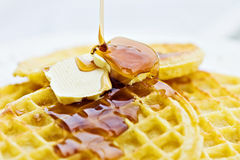 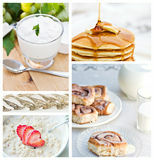 Shallow DOF with focus on syrup and butter.